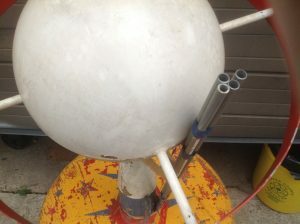 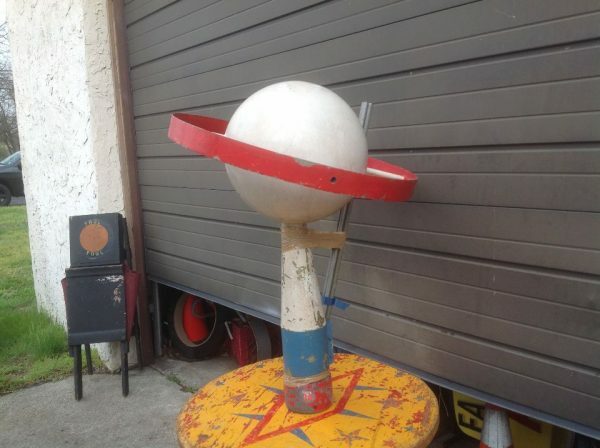 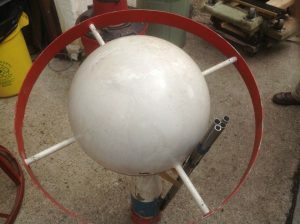 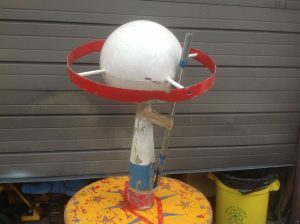 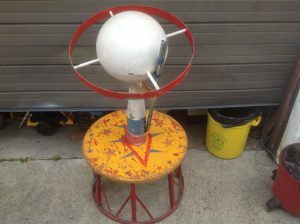 Vintage carnival ride mid century modern metal sputnik top in as found condition. Nice shape with many possibilities. Yellow elephant base not included. 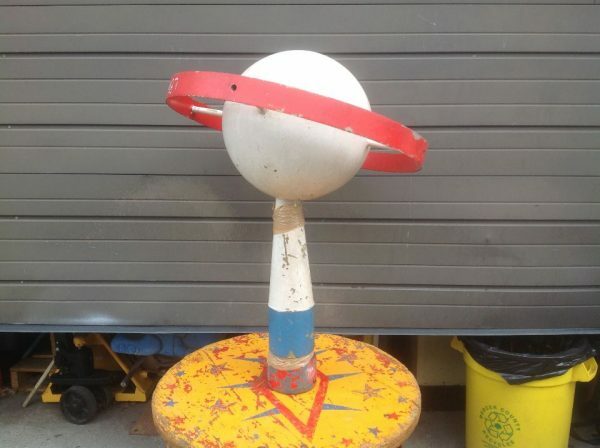 Use your imagination….